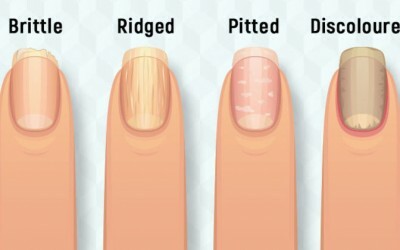 Ever wonder why your nails are so brittle, yellow, or otherwise discolored? Though you may not know it, these seemingly harmless symptoms may indicate you have some underlying health issues. 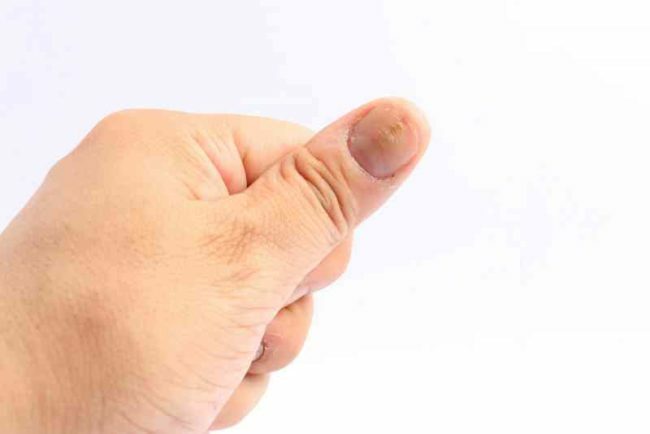 According to John Anthony, MD, a dermatologist at the Cleveland Clinic in Ohio and Debra Jaliman, MD, a New York City-based dermatologist and author of “Skin Rules,” there are certain nail symptoms that definitely shouldn’t be ignored. 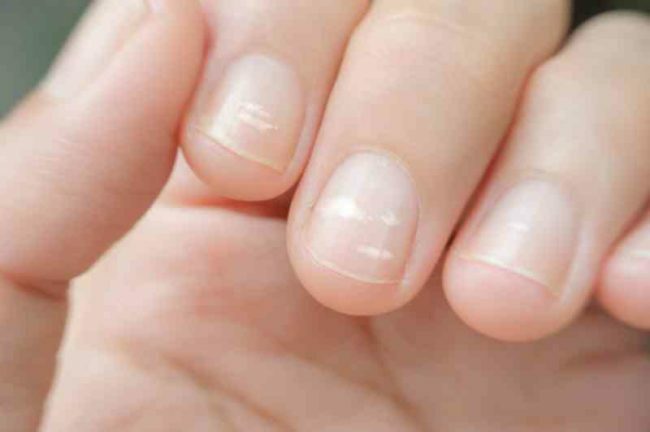 Here’s what eight different nail conditions are signaling about your health. According to WebMD, one of the most common causes of yellow nails is a fungal infection. But in rare cases, they also say that it can indicate a more serious condition such as diabetes, thyroid disease, or lung disease. 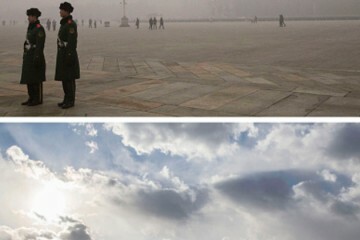 Smoking can also stain the nails yellow. 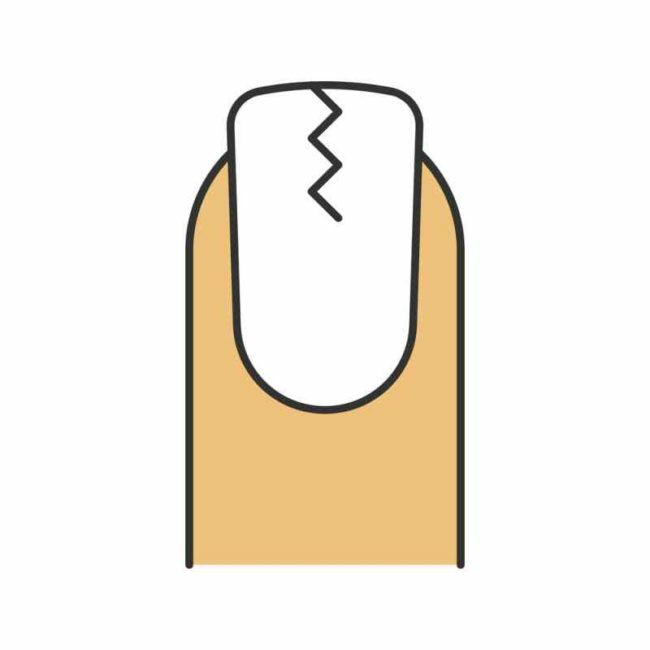 Dr. Jailman says cracked or brittle nails can be a sign that the nail plate is extremely dry. 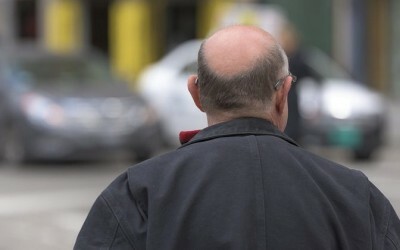 The condition has also been linked to thyroid disease. Hypothyroidism sometimes causes this side effect as well. 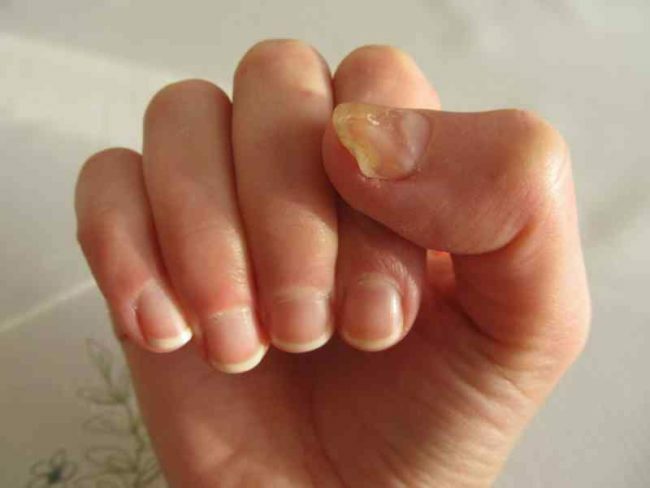 According to MedicineNet, nail pitting is caused by the defective development of the layers of the nail plate, and it is common for those suffering from psoriasis. 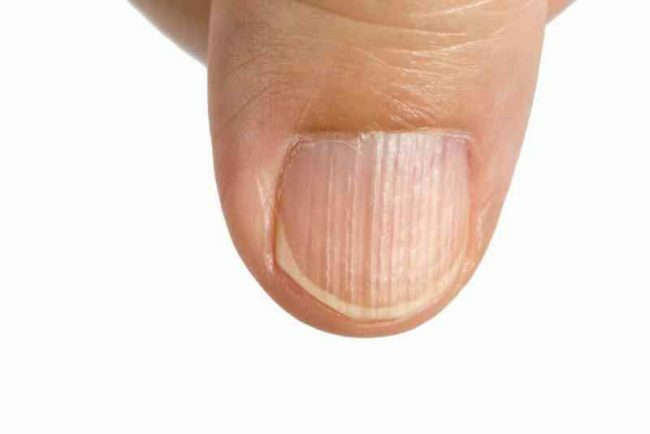 Dr. Anthony explains that the reason people will see horizontal ridges on their nails is that there could be direct trauma to the nail, or it could also be a cause of a more serious illness, in which case you’ll see it on more than one nail. That’s because the body is focusing it’s energy on fighting the illness rather than the nails. According to WebMD, discoloration or a dark line on the nail can sometimes be caused by melanoma, the most dangerous type of skin cancer. Melanoma can also cause a black line or stripe on the nail. It’s important to visit your doctor as soon as possible if you notice this. According to Medical Daily, the American Psychiatric Association’s Diagnostic and Statistical Manual of Mental Disorders (DSM) classifies nail-biting as one of the symptoms of obsessive-compulsive disorder. 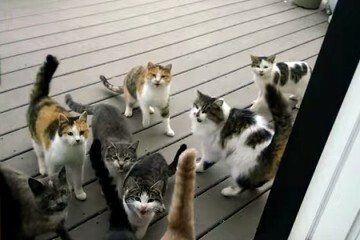 If it becomes excessive, you should visit your doctor. WebMD explains that when your nails become bluish, it is a sign that the body may not be getting enough oxygen. 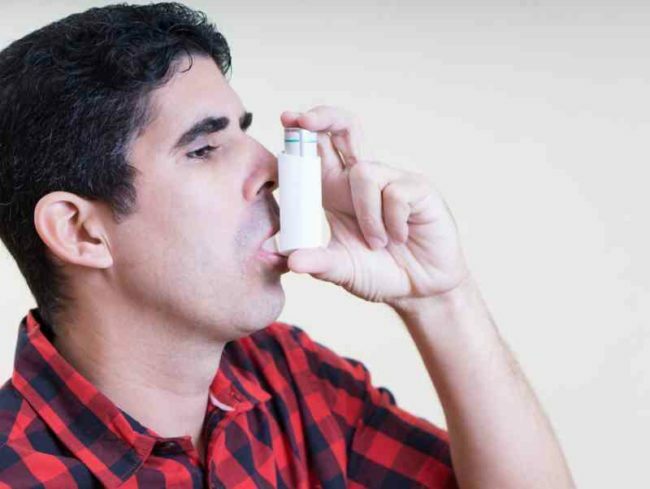 Lung problems and heart problems are among the possible causes. 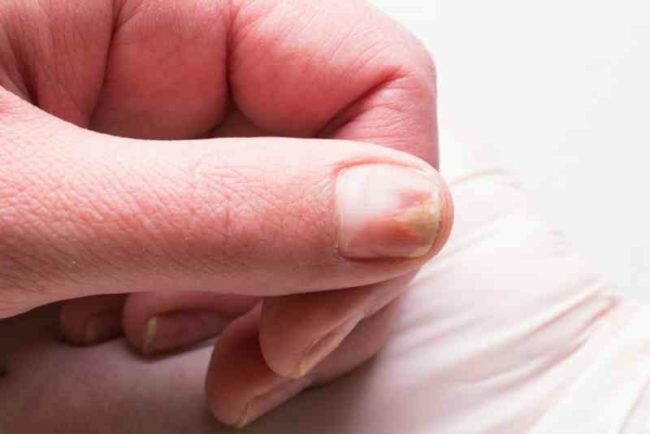 Some have mistakenly concluded that white spots on nails mean calcium deficiency, but Dr. Anthony says they are often a result of trauma such as hitting your finger against something. 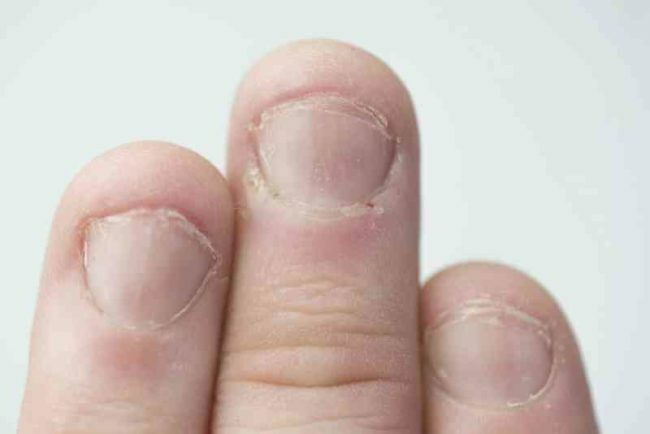 If you’ve noticed any of these conditions in your own nails and are concerned, be sure to visit your doctor.